Hydroseeding is a process in which grass seed is mixed with fertilizer and other binding agents to form a slurry that is sprayed on a yard. This slurry provides the grass with vital nutrients and stabilizes it against the elements, such as wind and rain. It also protects the seed from being eaten by birds. Hydroseeding is a quicker process than seeding by hand and costs less than planting with sod. It also makes planting on hillsides and slopes easier. The keys to hydroseeding at home are preparation, research and maintenance. Use a lawn testing kit to determine the pH level of your soil and the soil composition of your yard. Most soil compositions are a combination of clay and sand. 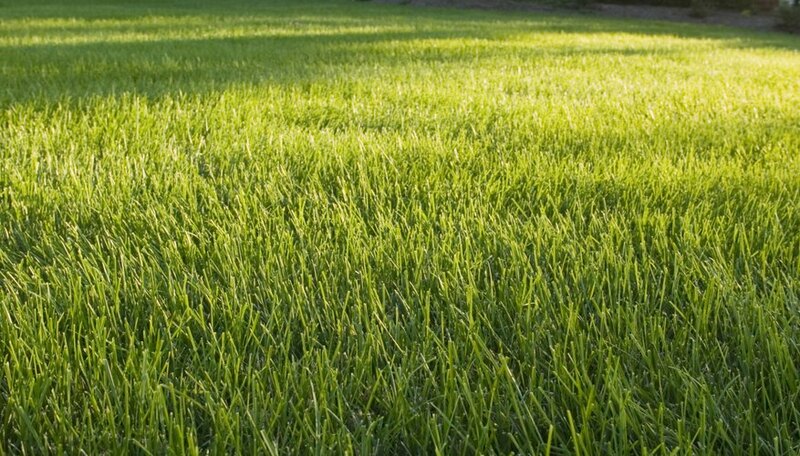 Test a few areas of your lawn for accurate results. If you're going to plant over an existing lawn, kill the grass with an herbicide. Let grass die out and use a rototiller to reintroduce it into the soil. Contact hydroseeding companies in your area to collect estimates and determine what types of hydroseed grasses they have available. Make sure that you know the square footage of your yard to receive a more accurate estimate. Mention the results of your soil testing so that they can tell you what grass seeds work best on your lawn. Hydroseeding machines are expensive and aren't a practical purchase for the average homeowner. Some companies rent machines that allow you to apply the hydroseed yourself while others send a crew to do it for you. Decide which is best for you and schedule an appointment. Use a partially filled lawn roller to go over the soil the day before hydroseed is applied. Follow any additional soil preparation instructions provided by the hydroseeding company. This may include correcting nutrient deficiencies in the soil through the use of additives, such as peat moss, lime, iron sulfate or gypsum. Water hydroseed with a garden hose every day for two weeks after initial application. When it comes time for the first cut, set your mower blade to its highest setting. Removing more than a third of the grass blade significantly weakens the plant.